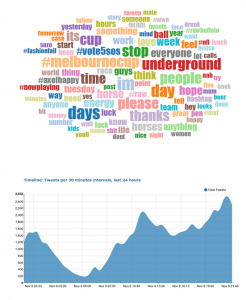 This App collects tweets posted within 10km of Melbourne CBD, does some Natural Language processing and renders top 100 words into a Word Cloud. Refreshed every 10 minutes 24/7. Ran on Amazon Web Services. This is Work in Progress, there will be new features added with time. 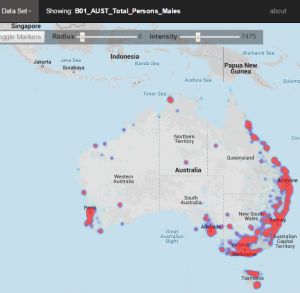 This Application aims to make Australian Census Data more accessible by rendering it on Google Maps. 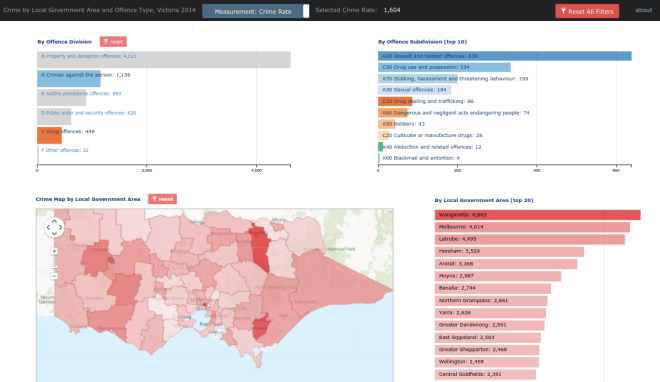 There are Data Sets (at suburb level) from 46 Categories of the ABS Census 2011 Basic Community Profile files available in the current app release. All together it adds up to 7,942 various data sets. You have to use Google Chrome or Firefox to get full functionality of the app. Unfortunately, Microsoft Internet Explorer and Apple Safari do not seem to support some of the web standards used in this app. If you view this app from a device with a small screen, some features will be disabled / sacrificed for better user experience.